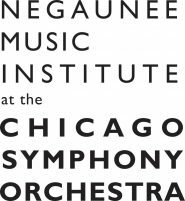 Snow, Senn, Beethoven, and Rachmaninov: Reflecting on March 27 – April 9, 2018. Does it ever end? The seemingly eternal winter we find ourselves in coincides almost too perfectly with the packed plate of rehearsals, concerts, workshops, school visits, and even more rehearsals the Civic Fellows were served in the beginning of “spring.” No one said being a musician was easy, nor would we want it to be – in fact, the couple of weeks that marked the beginning of “spring” have been some of the most intensely rewarding of the season. A full plate at Thanksgiving is a welcome sight, and so is a schedule filled with music just about any time of the year. The same, however, cannot be said for snow. Preparing for sectionals for a new concert cycle not three days after the last concert is a daunting task. However, as always, through these coachings with CSO musicians, we gained valuable insight into orchestral playing and had a chance to get a bit of a head start on two great masterworks: Beethoven’s Fourth Symphony, and Rachmaninov’s Second. With a little under a week between most of our sectionals and the first rehearsal, there was ample time to get beyond the notes during our individual practicing, and to explore further the music. The orchestra was especially excited for this cycle, as it was led by Erina Yashima, the CSO’s Solti Conducting Apprentice, a conductor we work with quite a bit throughout the year. The concert was not only a chance for the orchestra to learn this music, but a chance for Erina to gain valuable experience conducting a high-level ensemble. The concert was inspiring on many levels, and afterwards we received warm praise from many of our coaches. Getting their feedback through section coachings is an important part of the Civic experience, and knowing that it was well-implemented in the concert is always heartening. In the beginning of April, the fellows continued school visits on multiple fronts. Several weeks ago we began building a relationship with Senn High School’s music program. Each year Civic collaborates with a high school in Chicago, which culminates in a combined concert. To prepare for this, the fellows have visited the school several times, coaching the students on their own music as well as sitting in for rehearsals on the music the Civic Orchestra will play side by side with Senn students on April 29. Fellows have also been visiting schools that are participating in the CSO-Connect program. In May we will have the culminating event for this season’s program and the fellows have been aiding teachers in preparing student work for this event. Lastly, Civic Fellows’ chamber groups have begun visiting schools in the suburbs, presenting short programs for the students and answering a variety of questions. ABOVE: The April 29 Civic concert at Senn High School will serve as the finale of a week-long partnership between Civic Fellows and the Senn Department of Music. A packed couple of weeks it was, and to cap it all off – though it happened more in the middle – the entire Orchestra had a conversation with CSOA President Jeff Alexander. He spoke to us about his life, and making a career in music administration. He also answered our questions in an honest and thoughtful manner. It was fascinating to see first-hand how integral these qualities are to the leader of a major non-profit organization. Having these opportunities is part of what makes Civic such a unique organization – the direct connection with the CSO is integral not only to our orchestral training, but as citizens of the musical world.